The condominium is positioned by the beach, ten minutes outside of the main town. Studio unit available in a very popular block. Close to Hua Hin Market Village and only 100 Metres from the beach. A Condominium in north of Hua Hin on Soi 9 far from the main road about 1 km. Low density Units. This building had a large swimming pool at the beach side and 24 hours security. Lovely fully furnished 1 bedroom condominium with a balcony. Unmatched beachfront condo with stunning panoramic sea view and mountain view overlooking the whole city of Hua Hin available. 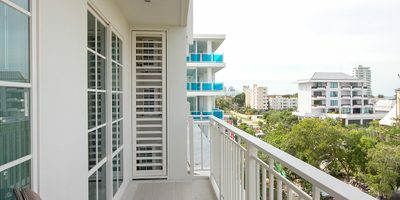 New condo with a beautiful view, 200 meters from the beach and on the 4th floor. Living area is app. We are delighted to have exclusively for sell this beautifully furnished, brand new, 1 bedroom condo. This is nice condominium and it right on the beach. This unit is on the ground floor and offer 61 sq.m. We are delighted to have exclusively for sale this beautifully furnished,1 bedroom, 1 bathroom condo. Located in cha am at the krisda condotel. This Condominium gives you direct sea, beach and mountain view. 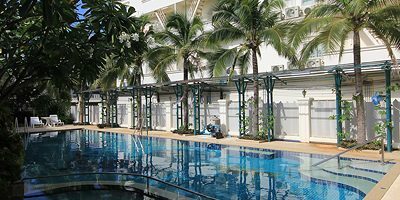 This condominium is located in Hua Hin town centre. It benefits from a balcony offering stunning views of the pool. 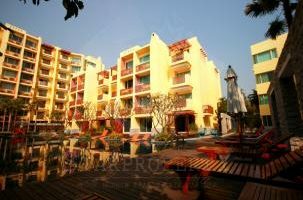 The Condo is located in Khao Takieb area where it takes onlt 5 mins from the central of Huahin. An individual beach house in one of the best managed properties in the Cha-Am area. First class amenities in this secluded retreat. The condo is located in Khao Takeib area where you can take the shuttle service to the beach. Rocco Hua Hin is a trendy new boutique condominium designed to create an impressive living lifestyle. This is Condominium living with a Tropical Concept, the design comes from the true essence of Hua Hin. 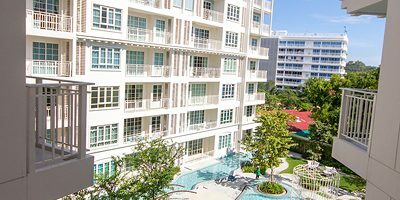 The luxury large unit, the Hunsa HuaHin condominiums surrounded by nature in a beautiful hillside . This unit offers 110 sq.m on the 11th floor in the most popular building. If you're looking for a relaxing holiday condo in Hua Hin, come and stay at Baan Nub Kluen. A brand new condominium in Hua Hin, only 1.5 km from Market Village. This beautiful condominiums where we focus on functionality, family friendly, quality and value for money. This luxury condo is located is on 7th floor. This condominium is a direct beach front condominium. Luxury condominium situated to the south of Hua Hin town, just 10 minutes drive by car. Krisda Condotel Cliff And Beach - Enjoy unbeatable views of the breath taking ocean from the 30th floor, only 15 minutes from Hua Hin. GREAT PROMOTIONAL OFFER - ONLY 5.1M BAHT! 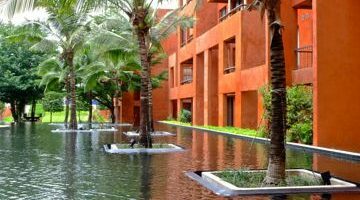 Baan Thew Lom Cha Am is a beautiful new development just off the pristine Cha Am beach, only 20 minutes north of Hua Hin. ONLY 34 UNITS STILL AVAILABLE - STARTING AT 1,900,000 THB! !